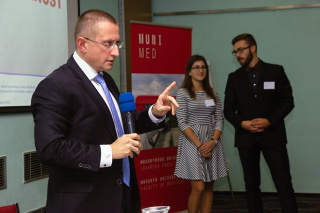 On November 9 - 10, 2018, a traditional Meeting of the Faculty of Medicine of the Czech Republic and the Slovak Republic took place in Brno, attended by 163 participants from a total of 13 medical faculties, including the Organizing Faculty of Medicine of Masaryk University headed by its Dean prof. MUDr. Martin Bareš, Ph.D. 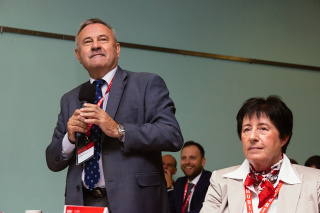 The dominant topic of the meeting was the increase of funds for medical faculties in the Czech Republic within the framework of an approved government program, which was discussed with the Deputy Minister of Education, Youth and Sports PhDr. 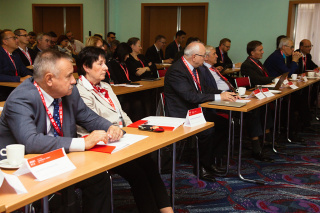 Pavel Doleček, and the presentation by the Director of the Institute of Health Information and Statistics of the Czech Republic by a presentation on "Supporting the education of physicians at national level". RNDr. 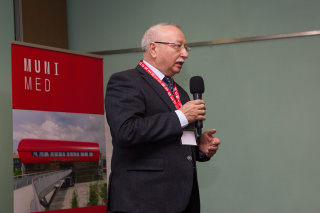 Ladislav Dušek, Ph.D.